Not all tees are created equal. There’s a massive range of products out there, and durability, portability, and stability vary wildly from tee to tee. In this buyer’s guide, we’ve reviewed the 5 best batting tees on the market in 2019.- We’ve also outlined some key things to consider when buying, helping you find the right tee for you or the ballplayer in your family. Use this table to quickly compare our top picks. Photo by Vinny Ahuja licensed under CC BY-SA 3.0. First, we’ll review 5 of the best batting tees that money can buy. For heavy-hitters, there’s nothing more annoying than having to pick up your tee after every hit. If you need something that won’t fall over, investing in a pro-style tee might be the way to go. Jugs guarantee that this tee won’t fall over during use. The sturdy construction of the base helps to keep it firmly planted, while the patent-pending ball rest design allows for incredible flexibility. This means that the tee will bend when struck, rather than falling over. But even though the base is fairly heavy, this doesn’t make the tee a pain to move around. It’s strong enough to stay upright when struck, but versatile enough for use in both indoor and outdoor settings. The telescoping tee screws directly into this metal base, and once it’s in, its massive 24-46″ height adjustability range enables anyone to practice hitting both high and low pitches. While the price of this tee is a little higher than most others out there, its portability, versatility and stability make it a great choice for serious hitters. You definitely get what you pay for here – the Pro Style is one of the best batting tees on the market. It even comes with a one-year guarantee for peace of mind when buying. Sturdy base – won’t tip over. If you’re a coach or parent of a young athlete, it’s hard to compete with the Easton Deluxe. Reasonably priced and from an iconic American brand, this tough plastic tee is both adjustable and easy to assemble. 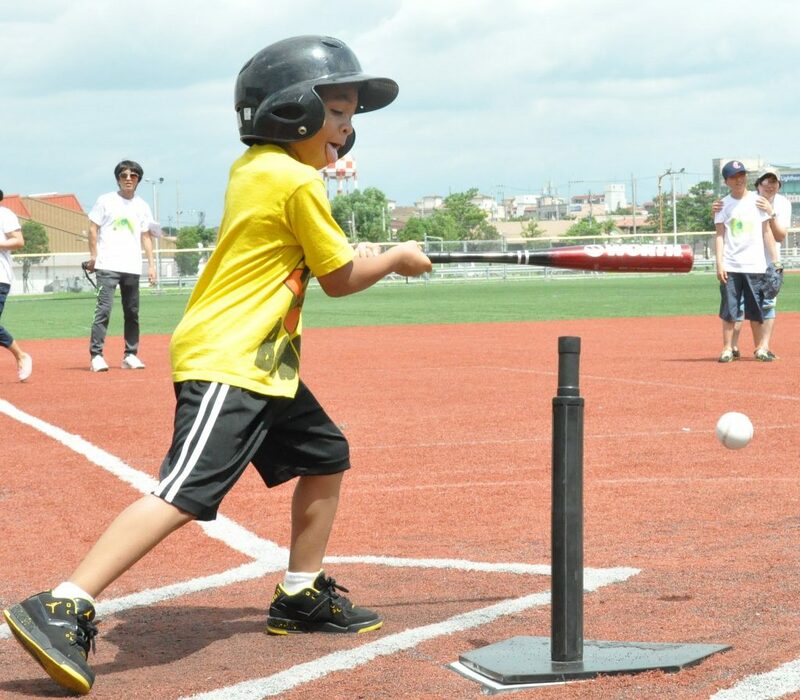 When choosing a tee for Little Leaguers, you’ll want to make sure that whatever you buy can withstand the force of kids making contact with the tube instead of the ball. At this stage in their lives, children are still developing their hand-eye coordination, so you’ll need a really tough tee. Fortunately, the Easton Deluxe is sturdy enough to withstand hundreds of direct hits without the tube/ball rest cracking or chipping. Assembly of this tee couldn’t be easier. It only has a few components, although there is one drawback – the tee itself screws directly into the rubber plate. You’ll want to make sure to keep those screws tightened so that they don’t bend, strip or break over time. You might also notice a strong rubber smell when you first unbox the tee, but this odor dissipates quickly – and since you’ll be using it outside, this smell won’t be noticeable for very long. For younger athletes, you’re unlikely to find a better tee in terms of overall value. The Easton Deluxe is definitely built to last, and its price point makes it even more attractive. Adjustable height (27″ to 36″). Durable plastic tee and rubber base. New tubes are not sold separately – tee and base must be purchased together. Endorsed by pro ballplayers like Jose Martinez, Luis Valbuena, Kirsti Merritt, and Kelly Kretschman, this tee is ideal for more seasoned athletes. It features a collapsible tripod base and a flexible tee that can handle the raw power of a high school or college athlete’s swings. The rolled rubber top can also hold both baseballs and softballs. This tee is great for teams and individual players on the go. Since no tools are required for assembly, taking it from the backyard to practice or warm-ups before a road game is easy-peasy. The collapsible legs make it ideal for outdoor practice or even use in an indoor batting cage. Stretching all the way up to 44”, this tee can accommodate tall players with no problem. 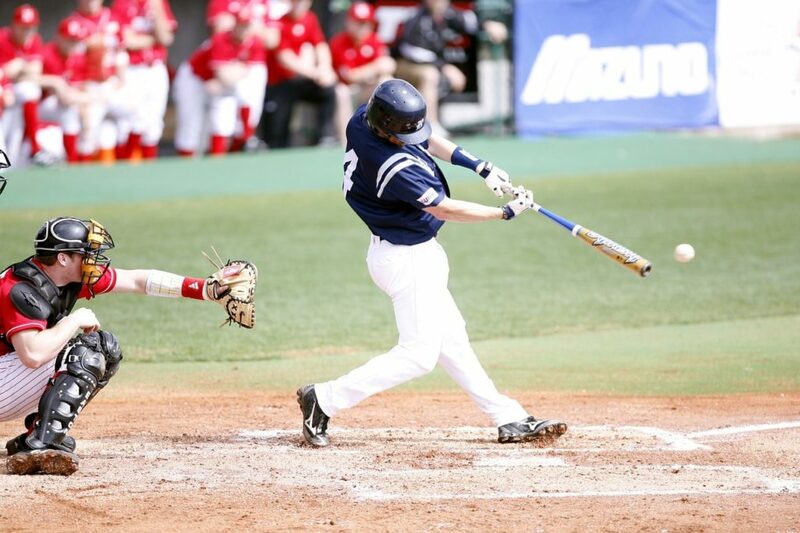 The only drawback is that it might not be able to simulate the exact height of a knee-high pitch, so some athletes – especially softball players – may find that they can’t work on perfecting swings for those low pitches. Its lightweight construction and easy adjustability make the PowerNet tee an excellent choice for competitive athletes. If you need a super-portable option, look no further. However, it could be more durable. Adjustable height (27.5” to 44”). Not ideal for simulating knee-high pitches. Not as durable as tees made from heavier materials. This pro-style batting tee is favored by many college and pro players, due to its durability and hand-rolled ball rest. 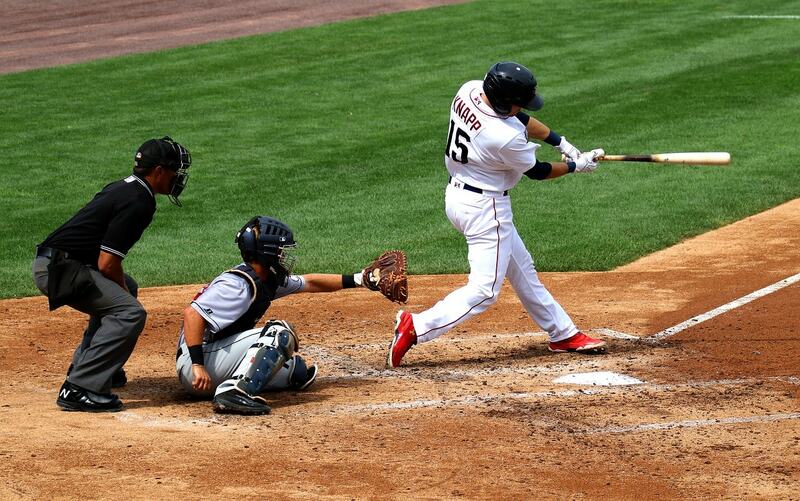 The rubber is incredibly flexible, meaning that batters can feel contact with the ball and not the tee itself. It’s adjustable and lightweight enough to be easily transported, though doing so requires you to unscrew the tee from the base. Despite needing a tad more elbow grease to disassemble/reassemble, the tough construction provides greater sturdiness when in use. This ensures that the tee won’t break easily or fall over after every swing. It even comes with a 1-year warranty for peace of mind when buying. As a result, the Tanner Tee is perfect for more experienced athletes who want a reliable tee that won’t break the bank. Plus, it’s great for families with young children, due to its adjustability. Since this tee is designed for aspiring pros, your kids are highly unlikely to outgrow it. The only thing to keep in mind is that you’ll want to store this tee inside, even if you have an outdoor batting cage on your property. It can wear down if left outside for extended periods. Reasonable price considering what you get. Not intended to be stored outside. Sometimes nothing beats a solid, quality product. If you’re looking for a durable, dependable tee and can forego some of the bells and whistles of more expensive options, you can’t go wrong with this CHAMPRO tee. Featuring reinforced, injection-molded rubber tubes, this is a no-frills training tool for serious athletes at all levels. Using rubber instead of plastic, this tee can definitely take a licking from your little league, high school or even college athlete. It comes in just three pieces, so assembly is a piece of cake, and it’s tough enough to be kept outside all season long. One drawback of rubber is the strong smell you’ll notice when opening the box. While plastic alternatives may not have the same odor, they also have a greater tendency to break down over time. Ultimately, CHAMPRO have saved money in producing this tee by going for rubber, and they’re passing the saving onto you. Plus, you get the added benefit of having a more durable product. However, it won’t feel as good to hit a ball off this tee as it would to smash a homer off a more expensive option. Simple – great for kids. Limited adjustable height compared to other models (21” – 36”). Strong rubber smell (at first). Photo by Terese Toennies licensed under CC BY 2.0. When choosing which tee is right for you, your family, or your team, there are a couple of things you should keep in mind. Use this information to help you narrow down your options and decide which tee is right for you. When a manufacturer is willing to offer a warranty, this is definitely a good sign. Not only does it mean that the tee is built to last, but it also offers peace of mind should the product fail to meet your expectations. On some tees, players have found that pieces bend, break, or strip. It’s a hassle to replace any broken product, and it’s even worse if you’ll be losing money in the process. Since this is a piece of sporting equipment that’s definitely going to take a beating over time, a 1-2 year warranty is definitely something to look out for when buying. Just like different batters have different swing techniques, different tees will have wildly different adjustability settings. If you’re an individual or purchasing a tee for a single player, you may not need the full height range that some tees have. But coaches and large families should definitely opt for a tee that has a large range of possible adjustments. 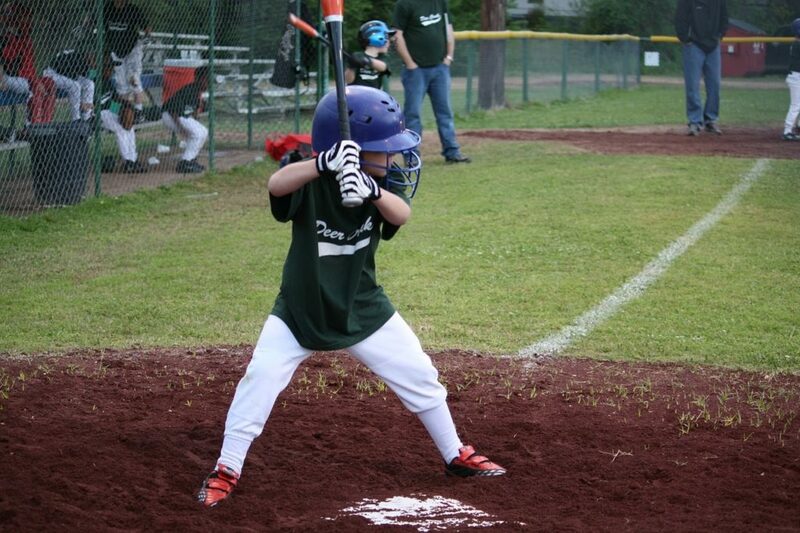 Remember, height adjustability isn’t just about accommodating batters of different ages. 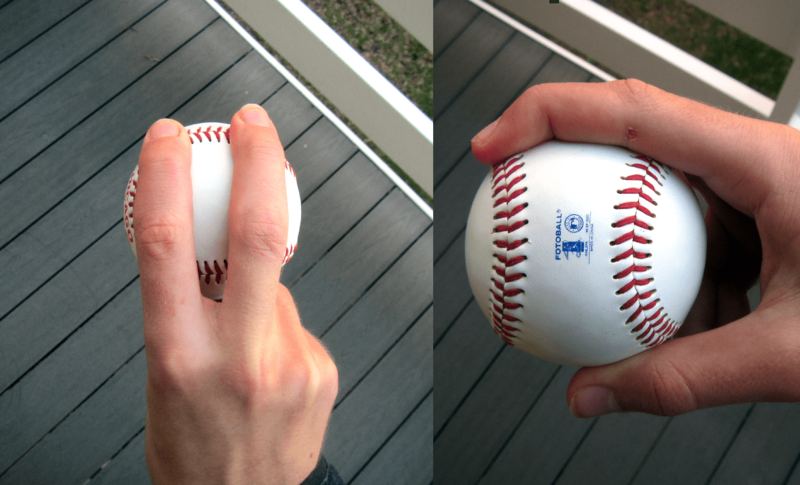 It also enables you to change up between practicing knee/chest-height pitches. If in doubt, go for something that can adjust from 26″ all the way up to 44″ off the ground. The design of the ball rest can make a big difference, especially for more advanced players. If you’re a budding MLB star, you’ll want something soft and flexible enough to give you a nice feel for the ball when struck. On the other hand, beginners are more likely to have errant swings, so you’ll want to make sure that the ball rest (and the tee itself) offer as much durability as possible, even if this means sacrificing some of the flexibility that a more seasoned player might look for. As any parent or coach knows, working out the kinks in a young player’s swing can take some time – so anticipate that the tee is going to take the brunt of that learning curve (literally). Teams and coaches will likely need a tee that’s easy to set up and break down. Conversely, individuals and families may not see their tees leave the backyard or outdoor batting cage. Some tees offer a one-piece construction that requires no assembly. Others have a little assembly required, but nothing too daunting. You might need to screw the tube into the base, for example. If portability is a deal-breaker for you, you’ll definitely want to skip anything that’s made of four or more different pieces. You don’t want to risk losing any parts, and it can be quite annoying to have to spend 10+ minutes on disassembly every time you move your tee. Imagine a big-league player taking some practice cuts on a tee meant for five or six-year-olds. It would go flying, forcing him to have to run 20 feet to go and fetch it after each and every swing. Fortunately, there are tees specifically designed for the heavy-hitters who need a more stable base. While it might be tough to know how stable a tee is before purchasing it, some manufacturers guarantee that their tee won’t fall over. Always look for tees made by companies who can back the stability of their product. Another thing to consider is the construction of the base. If it looks pretty wide and relatively thick, chances are the tee will have the stability you need. On the other hand, if it’s advertised as being really lightweight or designed for younger players, you might need to check out a sturdier option. Some tees are meant for outdoor use, while others can be taken inside for batting practice. If you know that you’ll only be using your tee indoors, you don’t have to worry about whether or not it’s especially weather-resistant. On the other hand, if you need something that can be left outside, look for a tee with a treated, rust-resistant ball rest and pole. 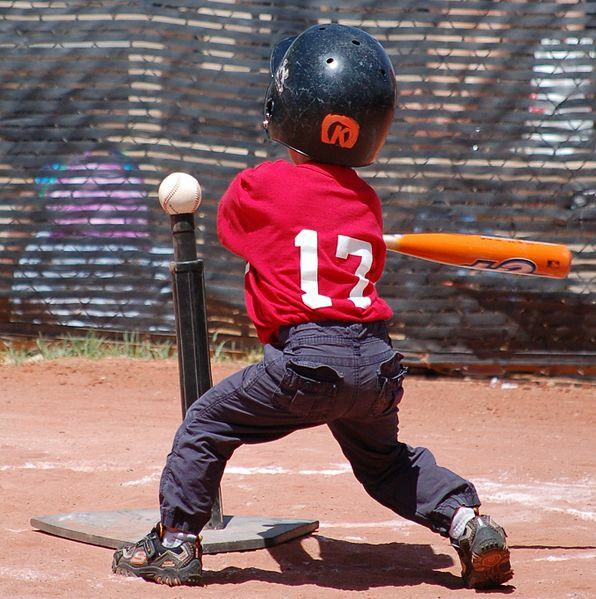 It probably goes without saying, but the perfect tee-ball tee is not really going to work for a high school or college athlete. The opposite is also true: you don’t want to overspend on a professional-level tee for a really young player. The materials, portability, construction, and price will all vary based on the type of player the product is designed for. Some manufacturers will give you an age range for their tee. But as parents would know, boys become men (size-wise at least) at around 15-16. So if you’re buying for an older teenager or college athlete, look for a pro-style tee with a really sturdy design. You might be curious to know whether the tees you’re looking at are actually used by the pros. Some are. If it’s important to you, find out if a professional ballplayer was willing to lend his or her name to the product, or endorse it in some other way. While endorsements are normally paid for, knowing that big league hitters use the tee might be a good indication as to the product’s long-term durability and the feel for the ball it offers. If you’re shopping for a tee that can be shared among baseball and softball players, it’s critical that the size of the ball rest be able to hold both 9″ baseballs and 12” softballs. Many tees do, though not all of them advertise it. You don’t want a rest that’s too small (the ball will fall out in light winds), nor one that’s too big (it’ll get damaged when hit). If you happen to need something suitable for both sports, err on the side of caution and choose a tee that specifically advertises that it can accommodate both baseballs and softballs. Still not sure what to buy? Drop us a comment for a response within 24 hours.